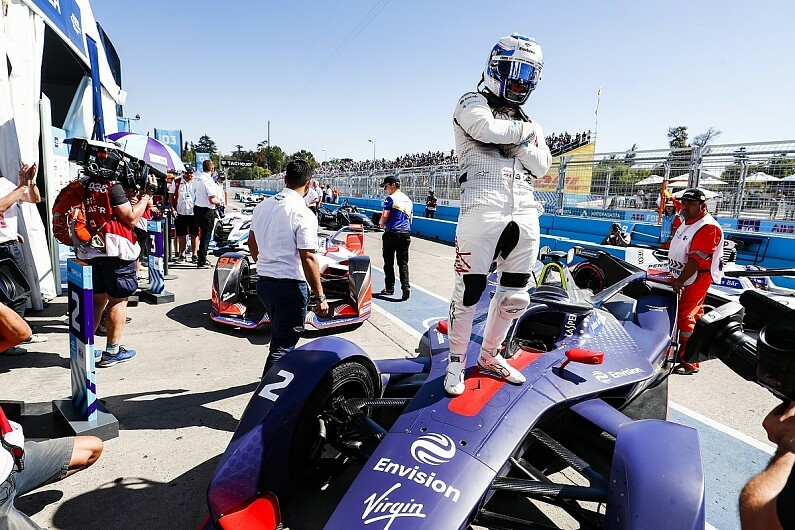 Sylvain Filippi says the “close to being perfect” make-up of his Envision Virgin Racing team is behind the customer ABB FIA Formula E squad’s strong start in 2018/19. Virgin currently leads both championships in its first year as an Audi customer squad, with Sam Bird two points clear at the head of the drivers’ standings after three races of the season five campaign. Bird won last time out in Santiago after he and team-mate Robin Frijns finished second and third, with the latter ahead, at the previous race in Marrakech. Virgin is the second FE customer outfit to win a race after the Techeetah team – which ran Renault powertrains for FE’s third and fourth seasons – first did so at the final race of the 2016/17 season. But Virgin has reached the top step much earlier in its life as a customer operation. “It’s an amazing team and I’m not tired of saying it – I’m so proud of this team,” Virgin boss Filippi told Autosport when asked what the strong early 2018/19 results said about his team. “It took me quite a long time to build it, to put it together. We started five years ago as a brand new team – we had no-one, we started from scratch. It took us a long time, bit by bit, to build it. “Now we’re at a point where even starting this season [without 15 days of manufacturer testing] I was relatively confident because we signed with the right partner. “Audi are providing an amazing car, and I have a very strong team of engineers, mechanics, backed up by two incredible drivers. Bird’s Santiago win came in what was officially FE’s hottest ever race, as he finished 6.489s clear of Mahindra Racing’s Pascal Wehrlein. Wehrlein had looked set to mount a late-race attack for the lead but he was forced to back off due to climbing battery temperatures, which meant Bird could cruise to the finish. Filippi explained that Virgin’s plan in Santiago was to keep a consistent race pace to avoid reaching the 72C degree battery temperature limit that causes the Gen2 car to derate significantly. “We were very close [to the limit] at the end and I saw a lot of cars slowing down on the last lap,” he said. “We did a really good job at running the race in a pretty linear way, which meant keeping a consistent pace throughout. “Some of the [other] teams might have overcooked it at the beginning.